Have you ever looked at a house and felt it was looking back? Did the windows, doors and threshold resemble a friendly face? Now that I’m attuned to our subconscious bias for faces, I’m on constant lookout for buildings that suggest a face or face-i-tecture. A recent trip to Japan highlighted just how much our brains recognize face-like designs on buildings and streetscapes to help us feel at home. The Hakone Shrine Mototsumiya smiles down from the top of Mount Komagatake which offers magnificent views of Mount Fuji. Visitors reach the top via a 1,800 meter aerial tramway in Hakone National Park. 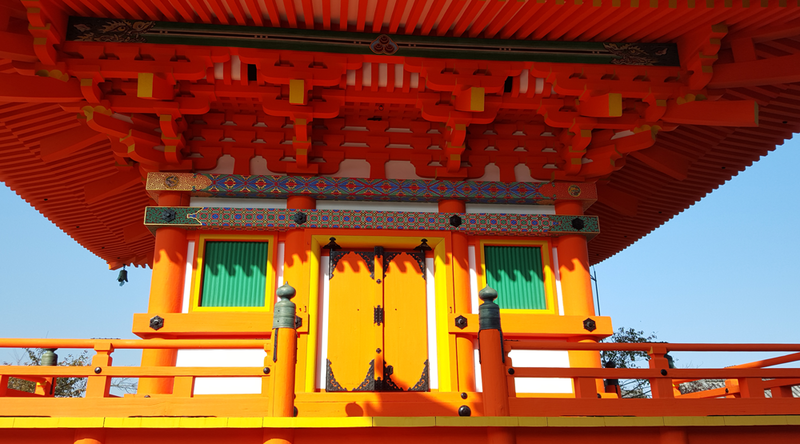 Although this shrine was built in 1964, the Japanese have a long history of building temples with a similar visage. It’s amazing how this powerful building welcomes visitors—transcending language and cultural barriers. 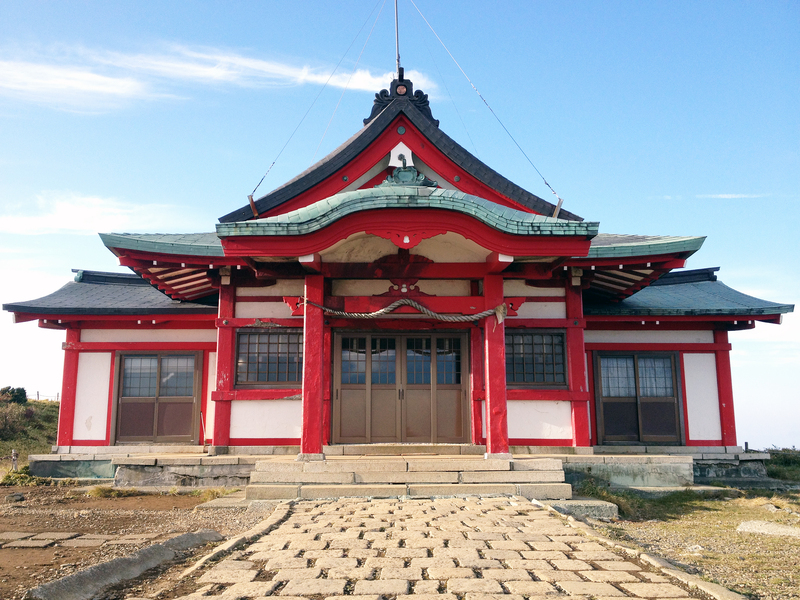 About 200 miles west of Mt Fuji, a much older temple in Nara Park offers a similar welcome on a grander scale. You can almost tell from its look that Todaji Temple is a place of prayer and peace. As a center for Buddhist doctrinal research, many visitors come to practice meditation techniques as the way toward enlightenment. 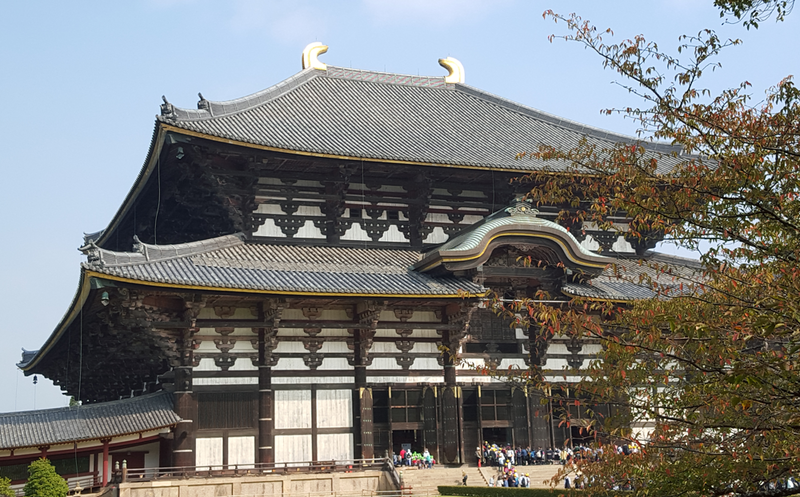 This temple was damaged and repaired over the centuries, and the current building ranks as the largest wooden structure in the world. 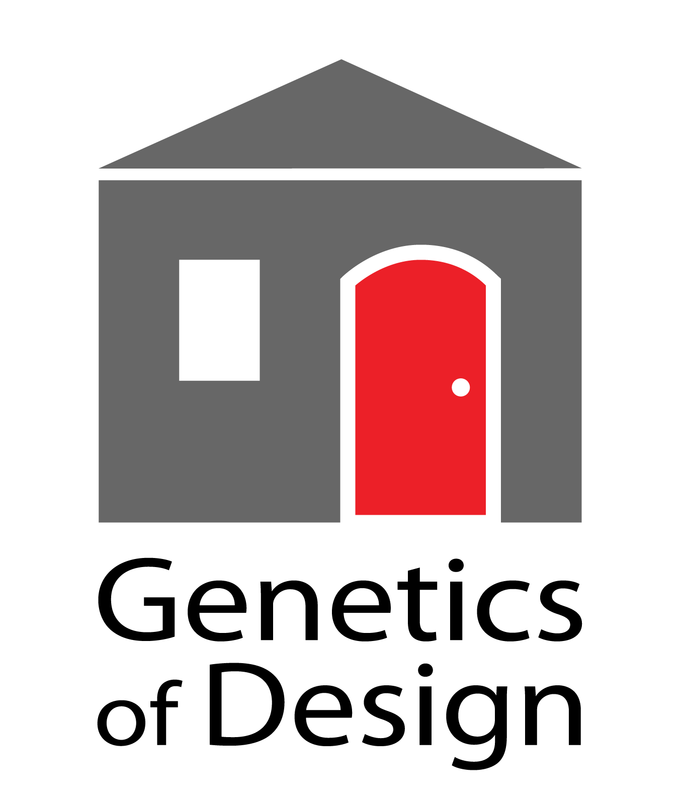 Perhaps face-i-tecture in a building, making it seem more human and easier to connect with, makes the community more interested in repairing and rebuilding over the centuries. 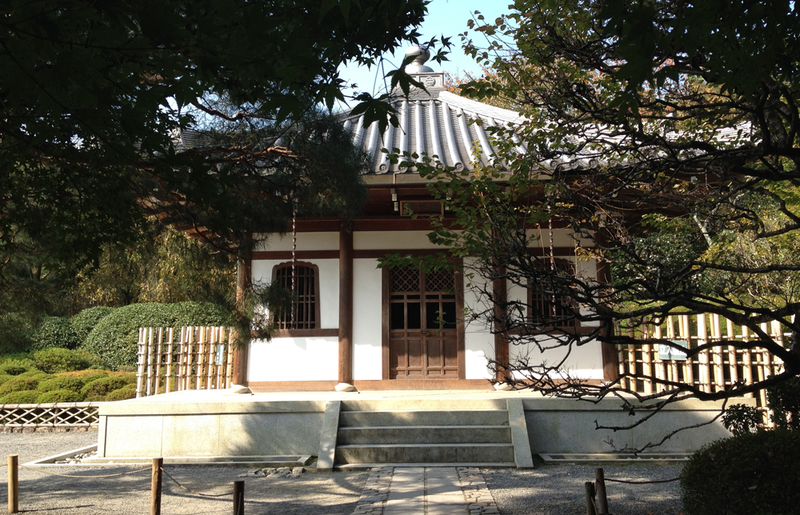 Traveling southwest toward Kyoto, I found smaller buildings with similar expressive facades, such as the ones below. Kyoto is the center of Japan’s cultural, spiritual and artistic heritage with more than 2,000 temples and shrines including 17 that are UNESCO World Heritage Sites. Though face-i-tecture is missing from high rises in modern Japanese cities, that does not diminish our need to see and be seen by faces. In new construction, it seems that local builders, designers and marketers sensing our face bias, install statues, cartoons and other facial animations to keep people subconsciously engaged in the modern streetscapes. 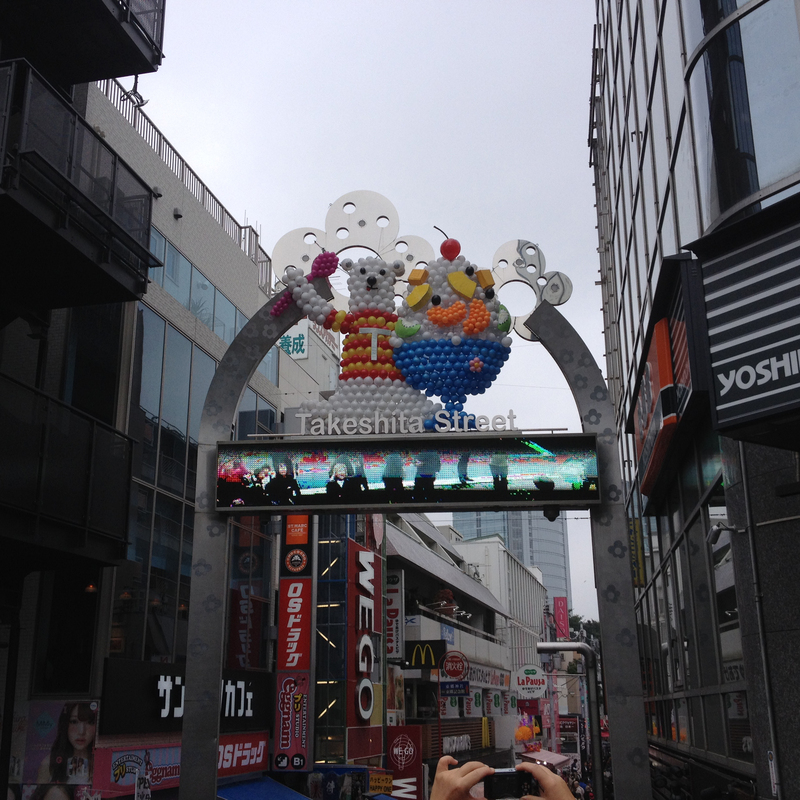 For example, in the shopping area favored by teens in Tokyo (below), notice the animal statue and visual billboard that videos and broadcasts shoppers’ visages as they walk toward the stores. 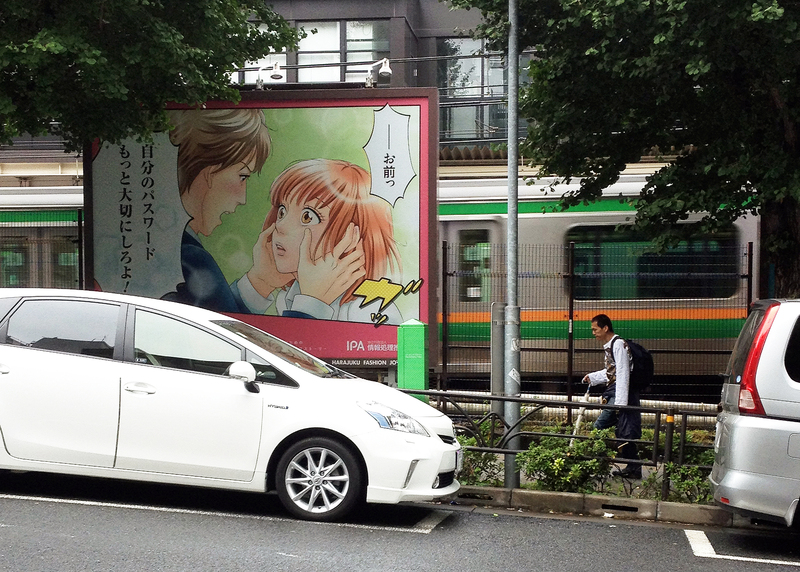 Opposite Tokeshita Street, anime billboards designed as instructional devices for teens use anime to warn about the dangers of sharing passwords on digital devices. 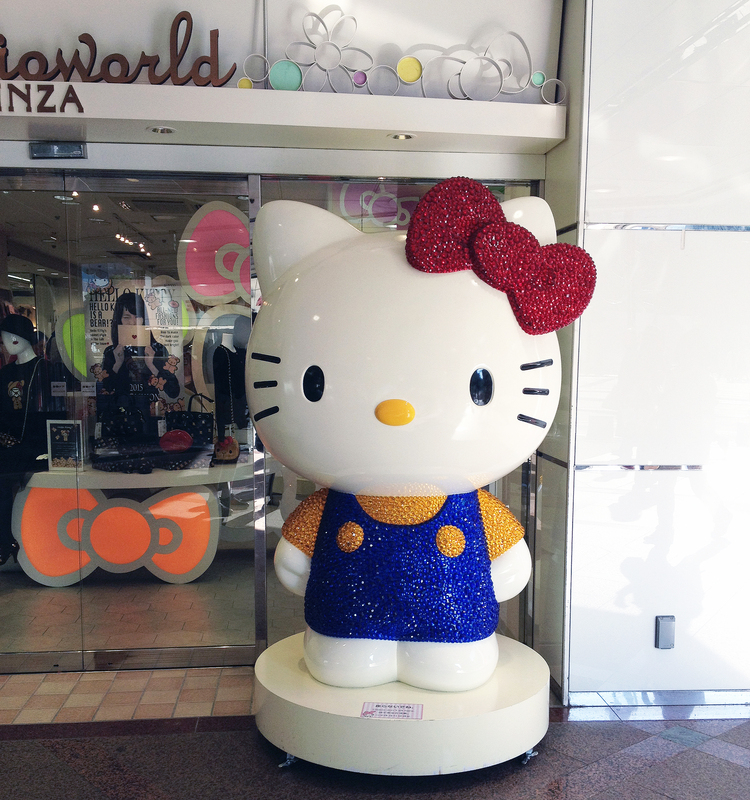 Meanwhile at GinzaWorld in downtown Tokyo, the face of “Hello Kitty” greets customers outside the Sanrio store. According to our Japanese Guide, women who work in offices often buy Hello Kitty stuffed animals for their desks—putting a fun face on worktime. Now that’s face-i-tecture par excellence, helping us connect to our surroundings and feel more at home wherever we are, whatever language we speak. This entry was posted in Architecture, Patterns, People-centric Design and tagged face-i-tecture, faces, Patterns. Bookmark the permalink.